There is so much focus these days on children’s academic achievement and concern about whether they are reaching expectations that have been set for school performance. Parents also strive to make opportunities available for their children to develop a variety of skills in sports, music, art or other areas in which they may show interest, talent or creativity. A pervasive concern is whether children are developing as they should, whether their behavior socially and emotionally is as it should be according to the expectations of their parents and others. A hallmark of questions and answers about child-rearing is the idea that there is a right way and wrong way of raising children. 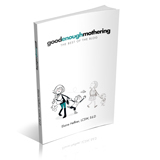 If problems arise – or something that feels like a problem – it must mean that parents are doing something wrong. Yet so much about the way our children develop is determined not by what we do but by who we are. Children grow and mature physically as they get older but when we speak of maturation, generally we are referring to another aspect of development. When we describe a child as mature, this usually reflects an ability to deal with life situations – both social and emotional – in ways that are age appropriate, or even beyond age appropriate. Confusion sometimes arises in parents’ minds about what is age or stage appropriate because a child’s behavior may not match our own expectations. We are not sure if our expectations are off or if a problem is keeping a child from meeting those expectations. The point is that parents differ in their expectations, and those differences most often reflect a difference in values. For some, academic achievement may be the highest value. For others it might be talent or a particular skill. Other attributes that may be valued are kindness, generosity, ability to get along with others, empathy, and the ability to consider the needs of others. This was brought home to me recently when I stopped to pick up some treats in an ice-cream shop. An older man and a young boy were working behind the counter and while I paid the bill the man instructed the boy to wrap the package. The boy looked very young to be working in the shop and I asked the man if the boy was his son. Indeed he was. I said it seemed he had a good helper, jokingly asking if he was in training. The father then told me that there was a special purpose to his son’s being there. The boy wants something that is rather expensive and his father thought he should contribute something in order to get it. They have an agreement that with the money he earns helping in the store 70% can go to buying what he wants, 20% will be saved and 10% will go to charity. I then had a conversation with the boy who told me he was ten years old and in the fourth grade. What he is hoping to buy is a Jeter watch. He said very precisely that he has thirty days left of school and he is hoping to have earned the money he needs by then. He was very much on board with the agreement his father had described. The father then volunteered that he felt it was important for his son to learn that he would have to work in order to have what he wanted in life, not just what he might want to buy but anything he might want to achieve. His tone as he talked about this was warm and loving without the “I’m teaching him a lesson” quality that often sounds and feels critical to children. But he was teaching him a lesson about the values that were important to him as a father and a man. He was teaching about the value of working to achieve your goals, the value of saving, and the value of feeling responsible for others less fortunate than yourself. It was apparent that his son was experiencing this lesson with a feeling of pride in the responsibility that was being entrusted to him. Our children learn such values from us daily, even when we are not aware that we are teaching them. Next Next post: Are the Kids Alright?